Setting aside my current main obsession in life, interiors, today I want to talk about my first love. Animals. As a kid I was obsessed with all animals, even creepy crawlies and was convinced I'd grow up to be a vet. That didn't happen, but I still have a dream of one day moving to the countryside. Somewhere with a bit of land, where I can have more dogs, some chickens, some ducks and a couple of goats. Maybe some pigs. You get the picture. For now though, I live in London, so have to make do with my current gang. 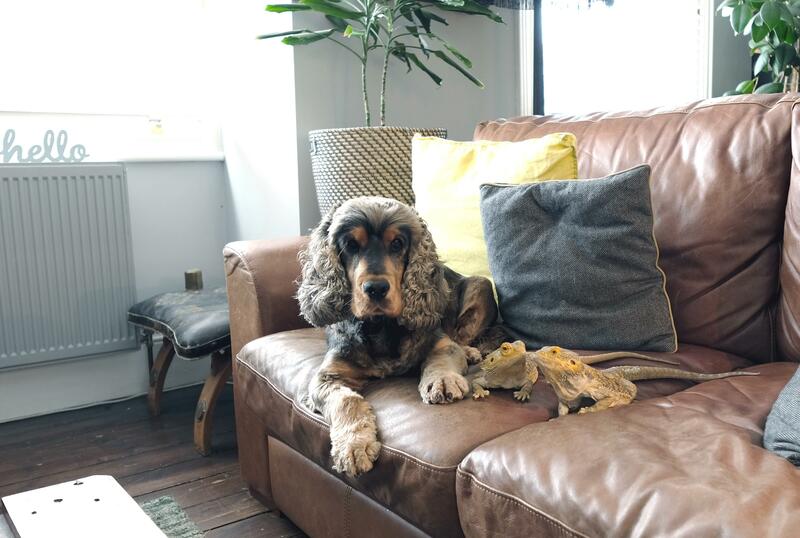 There's Winston, the most handsome cocker spaniel there's ever been (who you will know well if you follow us on Instagram, with his love of photobombing a good pic). And then there's Albi and Mooli, my bearded dragons. Their nicknames are Albert Humper Dragon and Moo Moo. Aka Albert & Moo. Yes, I decided to name my business after two lizards! When I tell people this they either think it's very cool or very weird. I just thought it had a nice ring to it! 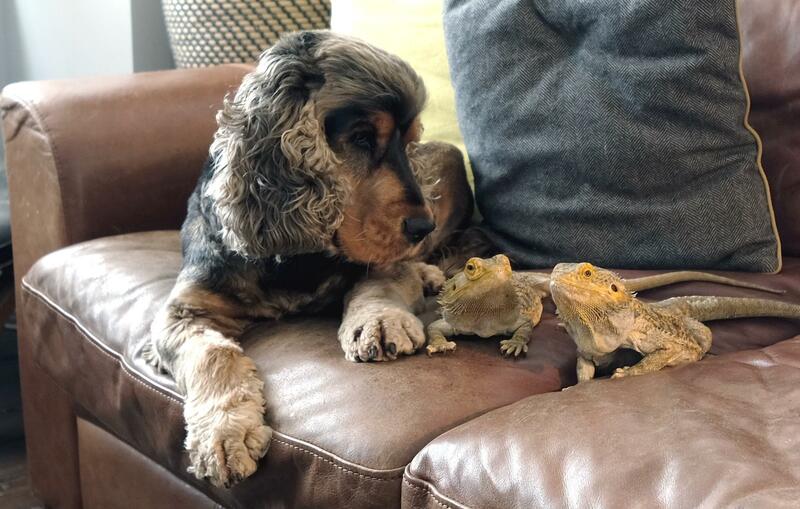 Anyway, since today is #NationalPetDay, I thought I'd share this with you and get a cute pic of my little gang so see you can see the faces that inspired the name. Adorable, eh?